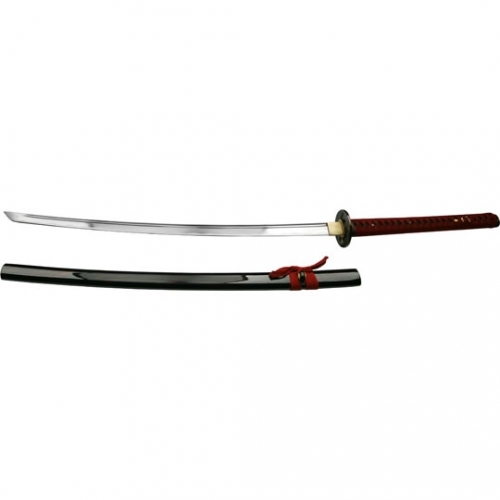 The Orasaku Zukuri Honsanmai Katana ( S05 ) is specially handmade and forged in the Yamato Nihonto tradition, which is considered to be the oldest tradition in Japanese swordmaking. 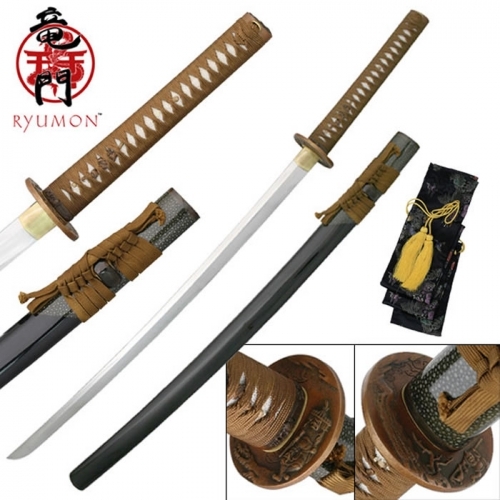 Hand forged, polished and sharpened,This forging method and with the use of premium quality, high carbon Japanese steel makes https://www.youtube.com/watch?v=GGuk6FYq-e0 This is all the information we have on this sword, the above is a youtube link. There is NO COA with this sword. This latest work of art by Thaitsuki exercises the talents of their best sword smiths, the detailing and craftsmanship is amazing. 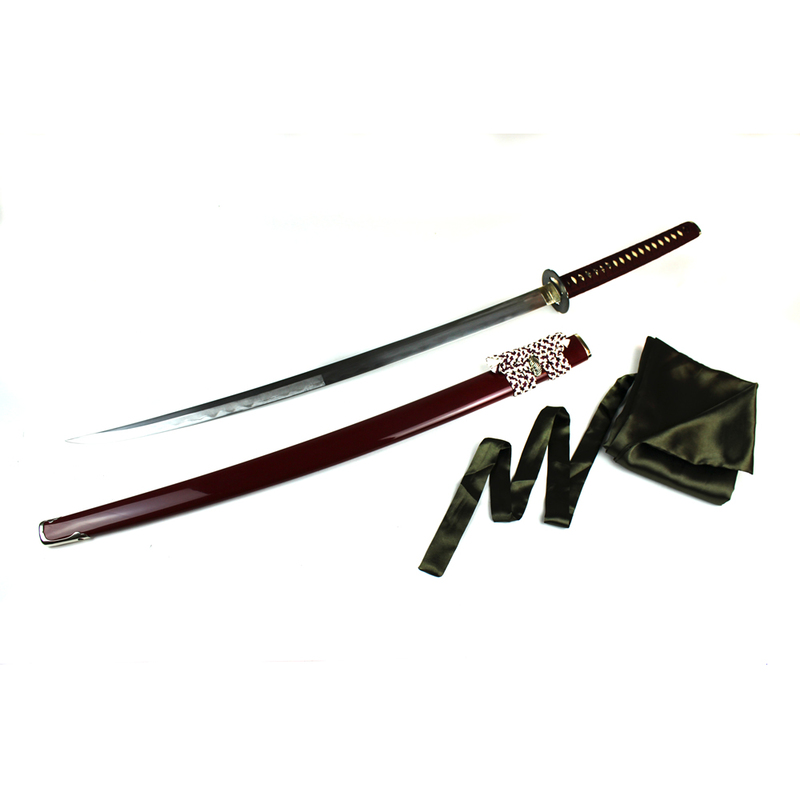 Painstakingly finished, the Sanmai blade is hand forged and folded using pure Japanese high carbon steel. The silver furniture is 100% handmade with outstanding attention to detail. 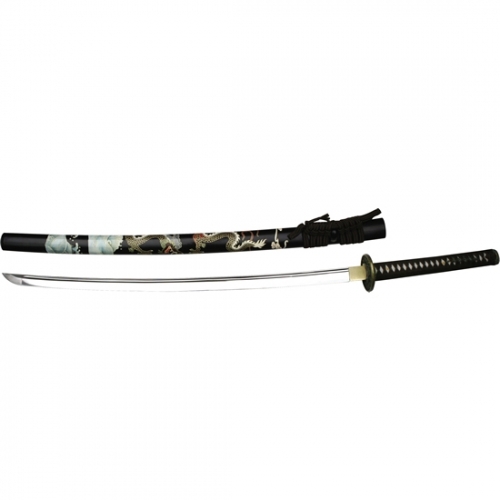 This sword exhibits jewel like construction and is the finest katana that we’ve ever had the opportunity to offer.